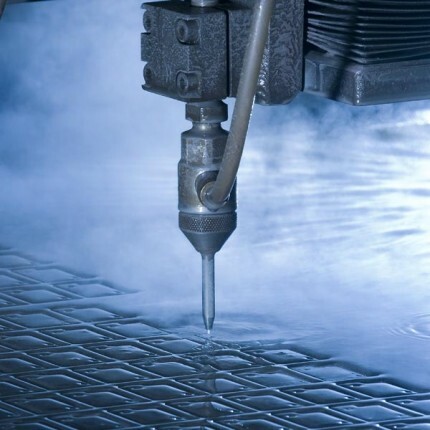 Water jet cutting is one of the latest technologies which Pegasus Profiles employ to cut practically any sheet material. 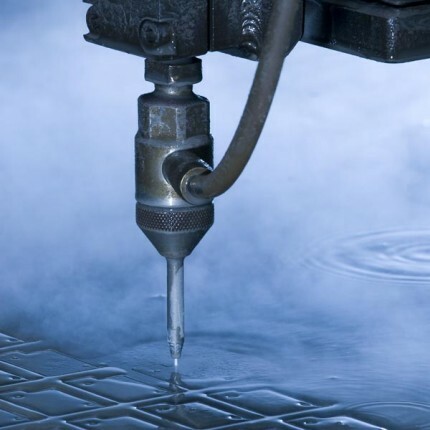 Pegasus Profiles Water Jet cutting process will produce an extremely accurate finish. High quality components are cut to within +/- 0.3mm, without a heat effected zone and little distortion. Our twin-headed machines are capable of cutting plate materials up to 200mm thick from our 4.0m x 2.0m bed. The combination of water and garnet allows the Pegasus Profile water jet to cut many different materials. Cutting speeds and prices vary depending on the materials being cut. 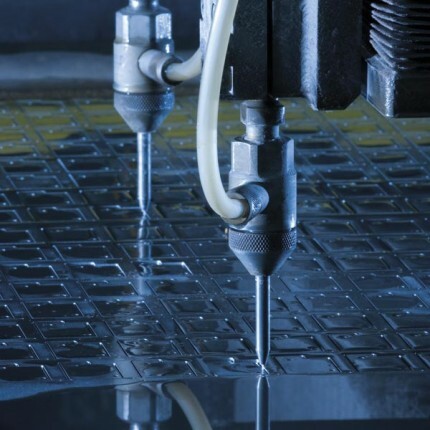 For example, 1mm thick mild steel would be cut at approximately 2.5 metres per minute, where as 50mm mild steel plate would be cut at only 28mm per minute.